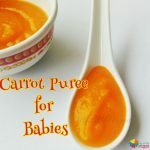 We have featured quite a few puree recipes on the blog, and one of our all time hits is Carrot Puree; so many Moms have reported that their babies loved it!! So we wondered how we could make it even better, and presto – we came up with this carrot palak puree! 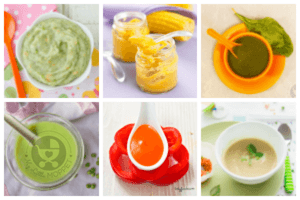 Once your baby is used to the taste of carrot puree, you can introduce this puree into his daily diet. 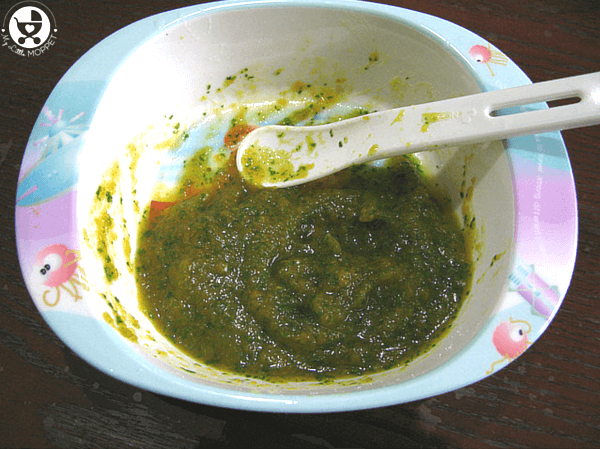 However, this recipe features palak or spinach, which can contain oxalates and nitrates, both of which are not suitable for babies under the age of 8 months. So if your baby is younger than 8 months, he’ll have to wait to feast on this! 1. Clean and peel the carrots. 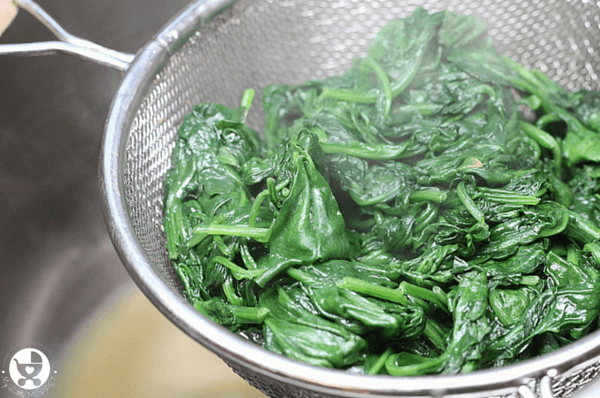 Clean the spinach leaves well, by rinsing in a sieve under running water. 2. Chop the carrots into small cubes. 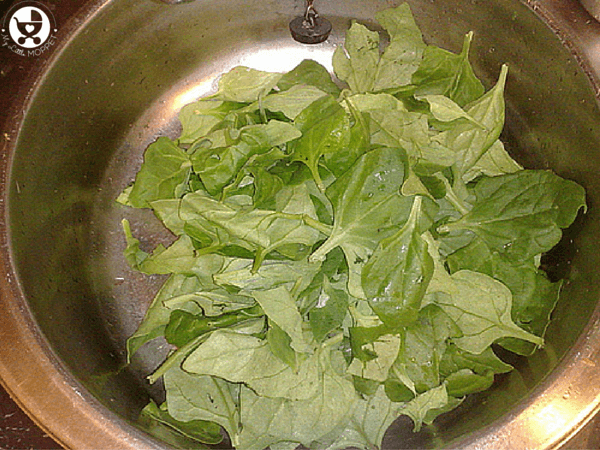 Chop the spinach leaves finely. 3. Steam the carrots and spinach in a pressure cooker. Turn off the heat after 2 whistles . 4. After the steam is completely released, drain the vegetables and mash or blend the cooked carrot and spinach. 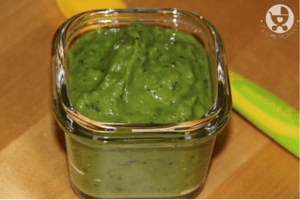 Do not use the water used for steaming for blending as it may contain the nitrates from the spinach. 5. Add the cumin powder, hing and serve. Add your baby’s choice of spices to ensure that he licks the dish clean! 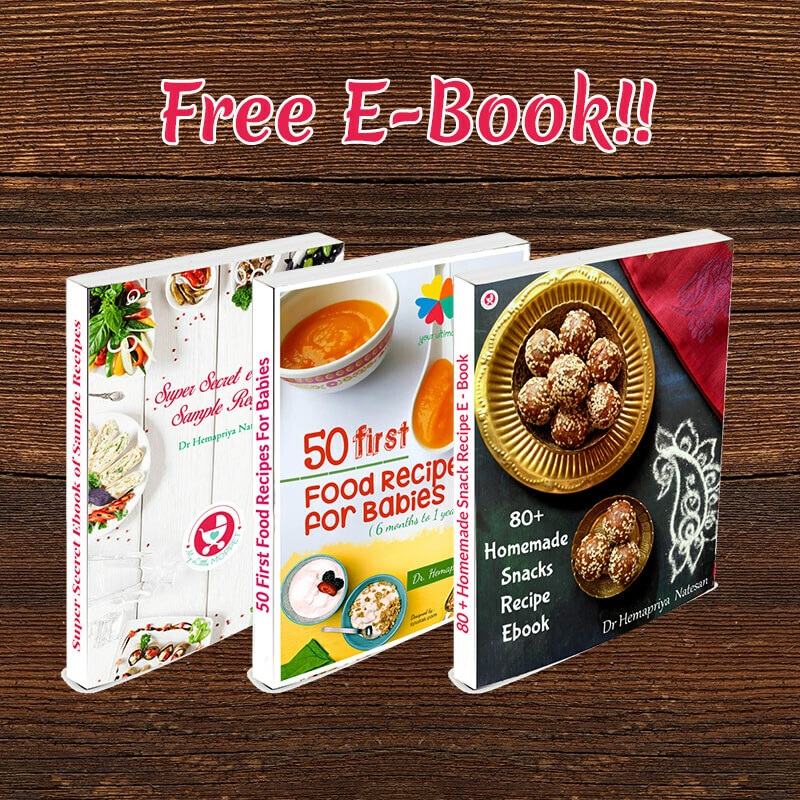 This is a nutrient dense dish – after all, it contains two superfoods – carrots and spinach!! As far as possible buy organic produce to reduce the chances of contamination. 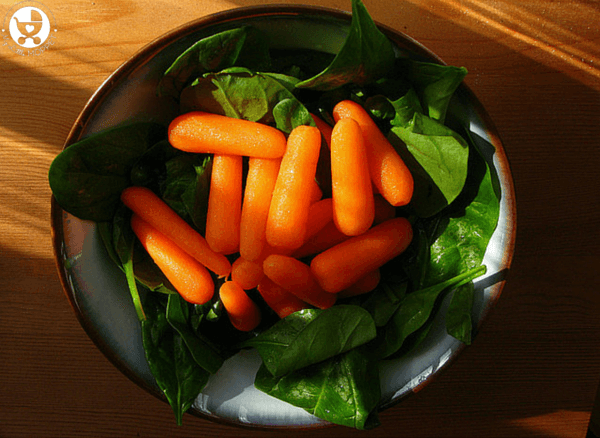 Baby carrots and baby spinach will give a slightly sweeter taste. 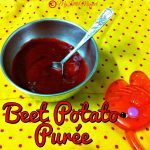 For some babies, this puree may cause a mild abdominal discomfort, so follow the four-day rule when introducing this puree in your baby’s diet. 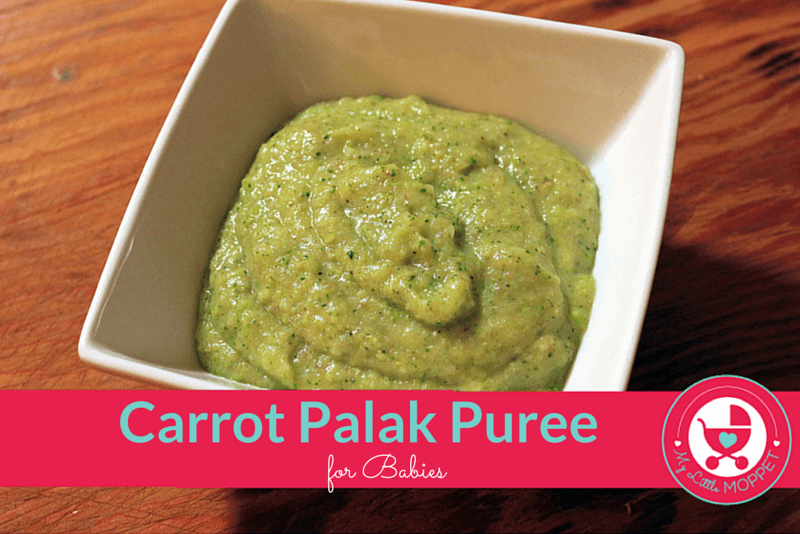 Many babies take to carrot puree without trouble, and this Carrot Palak Puree is the next step! 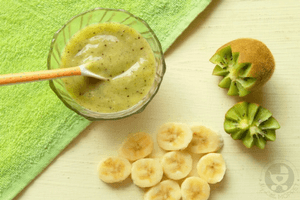 Full of nutrients and fiber, this is a great dish to introduce in baby's diet. Clean and peel the carrots. Clean the palak leaves well, by rinsing in a sieve under running water. Chop the carrots into small cubes. Chop the spinach leaves finely. Steam the carrots and spinach in a pressure cooker. Turn off the heat after 2 whistles . After the steam is completely released, mash or blend the cooked carrot and spinach. Do not use the water used for steaming for blending as it may contain the nitrates from the spinach. Add the cumin powder, hing and serve.  I am looking for easy one – pan ideas for my one year old. Can I add rice directly in the pressure cooker along with the veggies to ensure she gets her grains? I feel this website as very useful one. Was just searching for one like this to start solid foods for my 7 months old son. Thank you for appreciation and feedback. 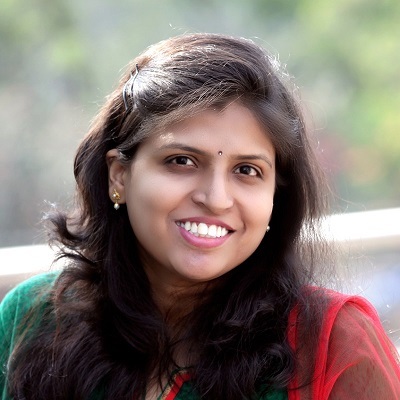 Love all your recipes Hema ! Thanks so much ! 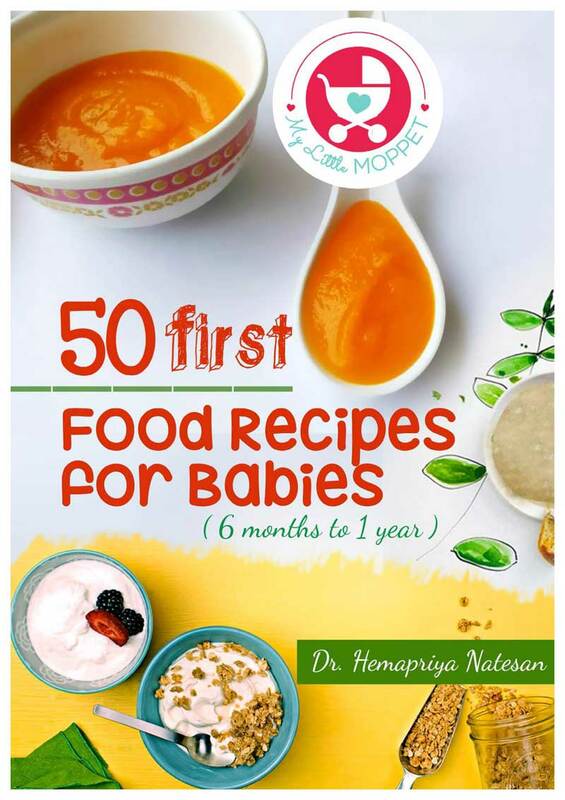 Could you please tell why oxalates and nitrates are not allowed for less than 8 month olds.My baby is 7 month and have already started palak for him.So was a bit worried.